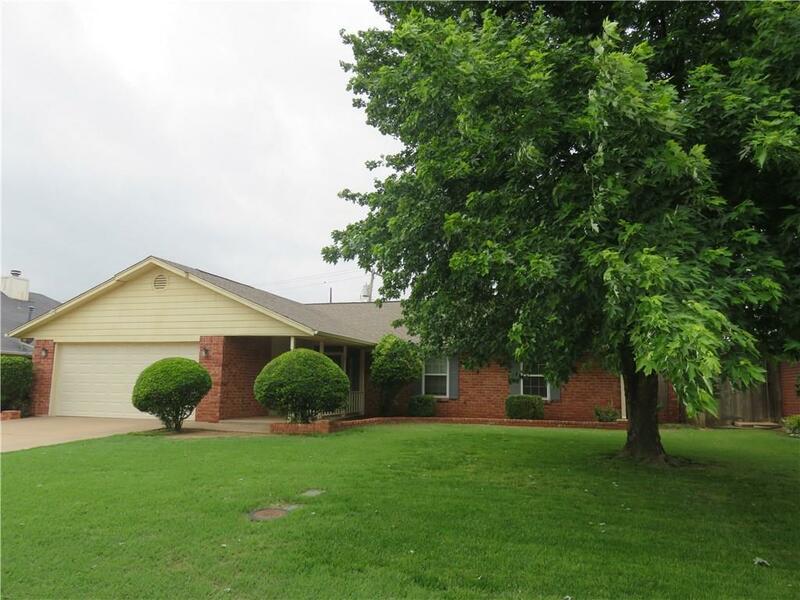 1112 Ruth Road, Altus, OK.| MLS# 860572 | CENTURY 21 Altus Prestige Realty, Inc.
Open floor plan allows room for family & friends. Kitchen features stainless steel gas range & dishwasher, high rise faucet, reverse osmosis filter, garbage disposal & pantry. Dining area & has a ceiling fan. A built-in bookcase/shelf system & coat closet. The large living has a wood burning fireplace & a door to the covered patio. Tile entry, walkway to the tile in the kitchen & dining. All bedrooms have ceiling fans. The master has crown molding & a walk in closet. The master bath has a new shower door & there are double sinks, an exhaust fan & tile flooring. The main bath has a large linen, exhaust vent fan & new tile flooring. Rain Bird sprinkler system for the yard, a large concrete pad with basket ball goal, an insulated storage build. Wood fence on concrete runners & brick pillars at the backside & a gate to your alley. Water softener, new insulated garage door, new garage door & opener, fold down ladder. Guttering & downspouts. New north side windows & storm doors.